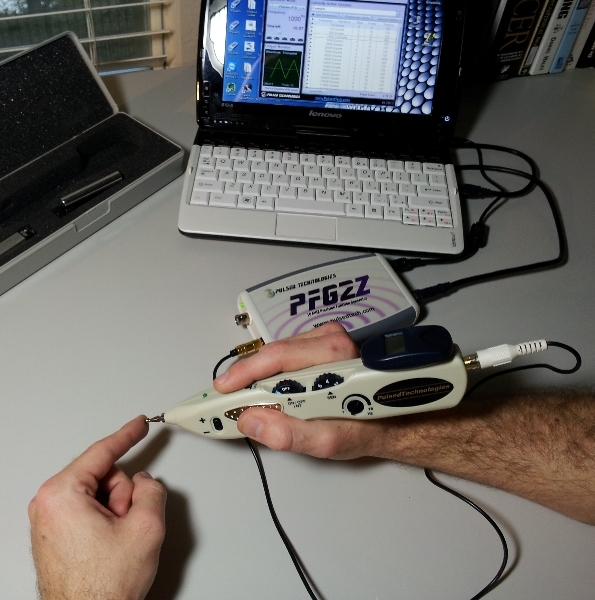 The modified Accupoint Locator and Pulser can be utilized for “pinpoint” application of specific user-defined frequencies for strategic routing to target specific organs using the ancient meridian system. 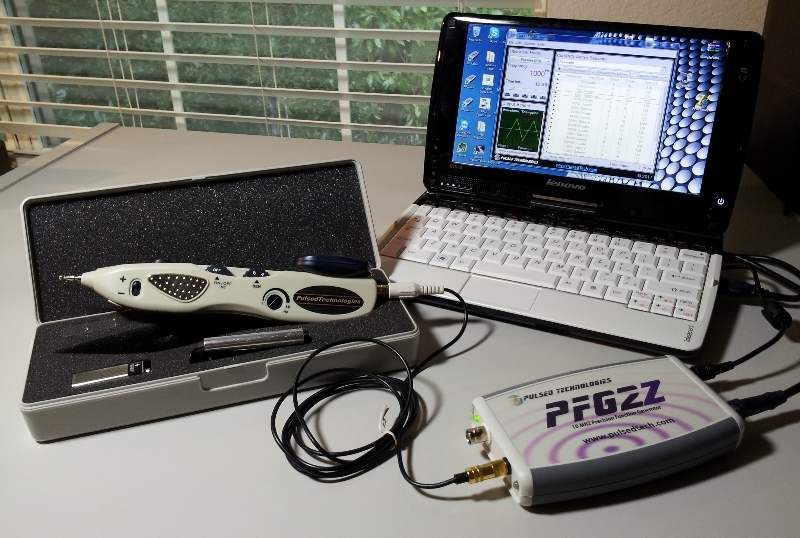 These custom devices utilized Pulsed Technologies PFG2z technology for incorporation by professional and research use only. Recently Pulsed Tech Research has also been researching the addition of pinpoint accurate delivery of precision pulsed laser to the same meridian system entry points.